Tuyến Sài Gòn - Cần Thơ: Xe 15 chỗ và 45 chỗ chạy đan xe nhau 15 phút xuất bến một chuyến hàng ngày, 24/24. Giá vé 75.000đ. Vị trí: Chợ nổi Cái Răng thuộc quận Cái Răng, Tp. Cần Thơ, cách bến Ninh Kiều 30' bằng canô. 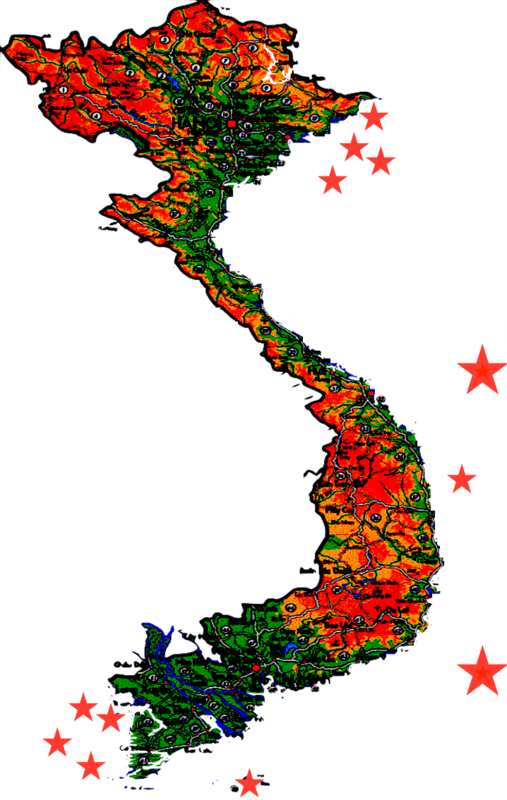 As a regional hub, it is easy to get to Can Tho from cities in the Mekong Delta. There are bus operators from all big cities and minibuses from smaller ones. If you arrive from Cambodia, you will probably stop in Chau Duc and catch a bus to Can Tho here. There is also one bus line directly from Phnom Penh once a day. It is difficult, not to say impossible, to get in by car from Cambodia as a tourist. You should also check, if you want to enter Vietnam by bicycle or motorbike. A new airport services Can Tho. Currently flight destinations are limited, but as the city grows more destinations are planned. From Ho Chi Minh City bus operators servicing Can Tho are leaving every one to two hours around the clock from the Western Bus Station (Bến Xe Miền Tây). Prices are US$4-7. Smaller more local buses from Saigon to Can Tho leave in the morning. There are three main operators servicing routes from Ho Chi Minh City as well as other destinations - "Thanh Buoi", "Phuong Trang" and "Mailinh". The big operators also have a departure point in the center of the city at Le Hong Phong street, from where shuttle buses will bring you to Bến Xe Miền Tây. You can take a taxi to Le Hong Phong street in district 10. Look out for the office of "Thanh Buoi" (white background logo with a flower), "Phuong Trang" (red signs) or "Mailinh" (all green) or go straight to Mien Tay bus station in district 6. The taxi from district 1 costs around US$15 in August 2013. With most operators you will get a small bottle of water included in your ticket price. Bigger buses offer AC, but also entertainment program of Vietnamese films and music shows, which are usually perceived as too loud for "Western ears". Can Tho is a big city, but the center between the university and the quay can be easily explored on foot (đi bộ). Good hotels will offer you a map. Unlike in Saigon, there is no significant difference in the quality (or honesty) of the different taxi company drivers. Mai Linhand Happy Taxi are the two main taxi operators; however, they are both more expensive than the cheaper (but less abundant) Hoang Long taxis [071-036-88688]. Wherever you go, keep in mind that taxis are not as abundant as in Saigon. You may wish to keep a taxi company number on hand and call for a pickup rather than wait to flag one down. This will have to be done in Vietnamese (perhaps by a nearby hotel's front desk staff), as English speakers are not particularly common amongst Can Tho taxi drivers or dispatchers. There are ferries to surrounding areas available from two stations at Ninh Kieu quay. If you want to travel on the river, you can rent a private boat at Ninh Kieu pier. Rates vary and depend on your negotiation skills. Refer to the paragraph about floating markets for more details. Longer tours on a private boat to the floating markets usually include traveling through the canals as well. Make sure the boat you book is a small boat that can take you through the small canals that the larger tour boats cannot navigate. You can rent a boat from the "boat ladies" at the Ninh Kiều pier or from local tour agents. Often they can pick you up at your hotel and the tour included some snacks. Prices depend on your negotiation skills and the longer the tour, the cheaper. On August 2013, starting prices of private boats to the floating markets are about 19$ for a 3 hour tour to Cai Rang floating market and about 39$ for a 7 hour tour to both markets - Cai Rang and Phong Dien - and canals. Make sure that the boat has a shade, so you do not sit in the sun for too long. Cái Răng floating market is the main wholesale floating market near Can Tho, and takes place before and around dawn each day. It's literally floating in the middle of a fairly large river, far from the riverbanks, which are lined with private houses and shops. Therefore, you will absolutely have to get on a boat in order to appreciate this floating market. If you don't want to pay foreign tourist prices for a tour from Ninh Kieu, you can hire a taxi. However, don't simply ask to go to Cai Rang Floating Market, as you'll likely end up at a random deserted riverbank where the driver's buddy will try to sell you an overpriced floating market tour. Instead, ask the driver to take you to Chợ An Bình, a local riverside market located next to the floating market. From the public dock there, you can join a motorboat tour of the floating market for 50,000 VND per person. As an added bonus, the (riverside) market offers fresh produce, some shopping (of the blanket-on-the-ground variety), and some of the tastiest banh mi stalls in Can Tho. The Hot Pot Alley (Hẻm Vit Nau Chao) is located between Mau Than Street and Ly Tu Trong Street. As many of these small alleys do not show up on tourist maps or online maps, you might need to ask somebody on the street for directions, but it is also not difficult to find if you stick to the directions here: From Mau Than Street enter Hem 142 Mau Than opposite the yellow painted Hotel Xoai, after a hundred metres there is a bifurcation. Turn left here and continue on the alley when it turns right. You will cross a tiny bridge and see the first restaurant shortly after that. From Ly Tu Trong Street enter Hem 1 Ly Tu Trong close to Luu Huu Phuoc Park. Google maps location.